Babblings of a Mommy: Prada's Fake Leg Boots: Love it or Hate it? 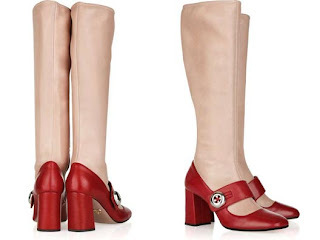 Prada's Fake Leg Boots: Love it or Hate it? Ladies, take a look at these $1,500 Prada Mary Jane leather boots. They have a fake leg built-in them!!! Is that bananas, or what?! 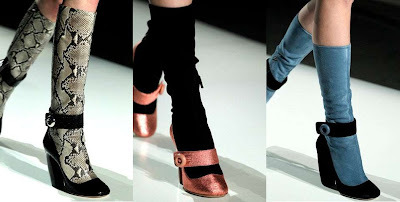 At first, I thought they were pretty hideous-looking, and then I saw them in different colors and styles..and now I think they're starting to grow on me!!!! (lol) Is that nuts?! Have I completely lost my mind? What do you think?